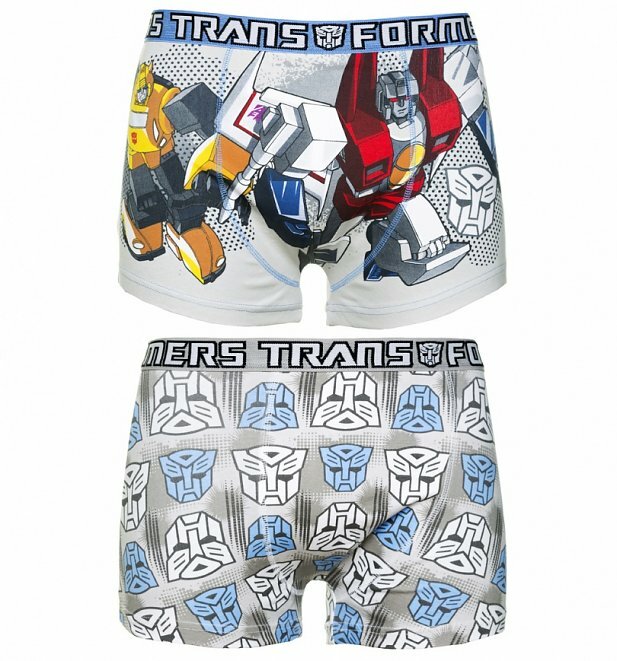 Transform any sock drawer with the help of these super retro Transformers boxer shorts! Awesome gift for any nostalgia enthusiast. 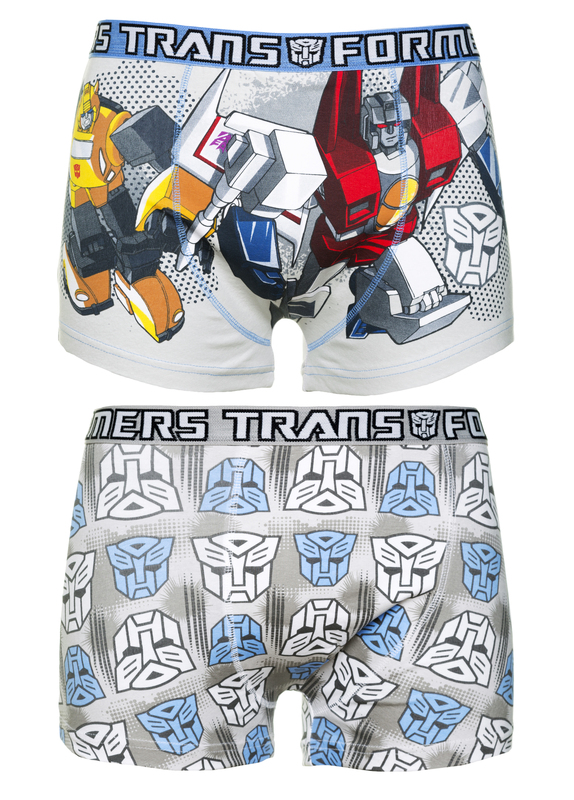 Please note this product is non returnable due to hygiene reasons. Review: Boyfriend found them a bit short. Review: Fit my SO perfect. Was good all round. 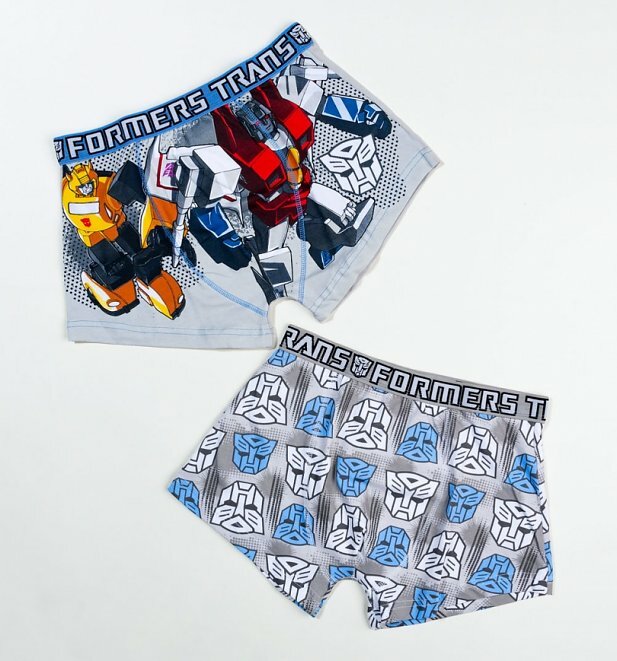 24764Mens 2pk Transformers Boxer Shortshttps://www.truffleshuffle.co.uk/product_images/TS_Mens_2pk_Transformers_Boxer_Shorts_14_99_Flat.jpg14.99GBPInStockGBP/mens/80s/cartoons/nightwear-underwear/gifts-for-geeks/gifts-for-him/cartoons/transformers/games-toys/grey/fathers-day/nightwear-underwear/underwear/nightwear-underwear/underwear/boxer-shorts/gifts-under-1514.9900Transform any sock drawer with the help of these super retro Transformers boxer shorts! Awesome gift for any nostalgia enthusiast.